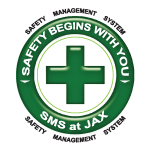 JAA is a major economic engine for the City of Jacksonville and the Northeast Florida region. According to the State of Florida, JAA’s economic impact is in excess of $3 billion per year. This includes the salaries paid to the thousands of people that work at the four airports managed by JAA, the items bought by all of the companies at the airports, including JAA itself, as well as the economic activity that comes from that money working its way through the economy. All of this economic activity comes at no cost to the citizens of the region as JAA receives no general tax dollars from the city. As aviation and aerospace companies are attracted to JAA’s four airports, the economic impact is expected to grow substantially.